c. Ben Cooper, all rights reserved. New York City is built on an archipelago in a shallow sea, the great Hudson-Raritan Estuary. Unfortunately, this rich ecosystem has been badly degraded by human activities since Europeans began settling these shores. Early on, colonists dumped their garbage and so-called “night soil” (human excrement) into the waters, a practice that continued well into the nineteenth century. The advent of sewers and plumbing in the mid-1800s, while effecting the cleanup of streets, simply flushed away raw sewage into the waters. Compounding pollution by human wastes was industrial pollution, which intensified with the rise of the petro-chemical industry in the mid to late nineteenth century. 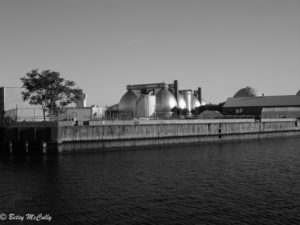 In the mid-1800s, petro-chemical refineries began operating along the shores of tidal waterways like the East River and Newtown Creek, discharging a toxic stew of chemical effluents directly into our waters and wetlands. An 1881 investigative report described “the slime-coated banks of Newtown Creek” and “hundreds of acres of marsh saturated with the drainage and soakage of filth.” Newtown Creek, a once pristine tidal waterway that had meandered through an extensive salt marsh had now become a toxic cesspool. The earliest sewage treatment plants were built on Long Island — the first on Coney Island in 1887, and the second at Sheepshead Bay in 1891 — but these were woefully inadequate, as became obvious in the 1920s, when the metropolitan population soared to ten million. A sewage treatment plan based on the natural drainage system of the region was adopted in 1920. 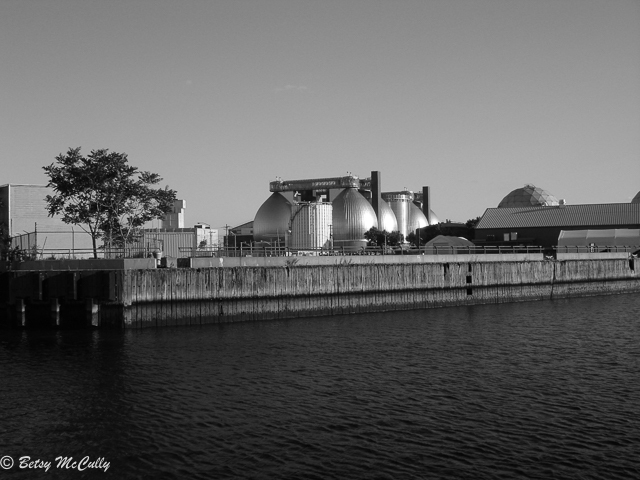 A new plant was completed in Jamaica Bay in 1927, followed by three more plants in 1952. Sewage treatment plants have continued to be added and upgraded as conditions have demanded, particularly with the doubling of the New York metropolitan population in just a century. The most recent sewage treatment plant completed is, fittingly, on Newtown Creek, where the petro-chemical industry began. It is a state-of-the-art facility that rises to the level of art in its design. Still, even treated sewage pollutes the waters in ways not well understood until recently. The discharge of treated wastewater creates a condition known as nitrogen overload. Excess nitrogen encourages algal blooms, which consume oxygen when they die and decay. 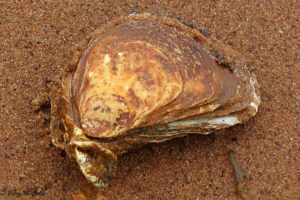 Animals that live in shallow waters, like oysters, are deprived of oxygen. Massive fish kills, when tens of thousands of dead fish wash up on our shores, may be the result of suffocation. According to the NYCDEP 2016 Report on the Jamaica Bay Watershed Protection Plan, four sewage treatment plants in Jamaica Bay alone discharged 50,000 pounds of nitrogen daily into the bay. By upgrading the plants, the city had reduced nitrogen overload by 30 percent since the 1990s, down to 26,000 pounds daily in 2016. They set a goal to double that by 2020. On Long Island, the Long Island South Shore Estuary Reserve Act was passed in 1993, establishing a reserve encompassing a 326 square mile watershed; the goal of their Comprehensive Management Plan is to protect 30 coastal fish and wildlife habitats between the New York City/Nassau County line and Southampton. Since the plan was implemented in 2001, a coalition of environmental, business, industrial and community leaders have worked to reduce nitrogen levels in Long Island Sound, among other goals. 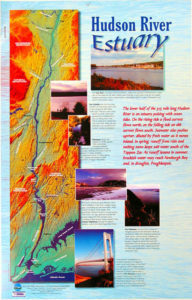 In 1997, the passage of the landmark Clean Water/Clean Air Bond Act of New York gave impetus to cleanup and restoration efforts throughout the Lower Hudson watershed. 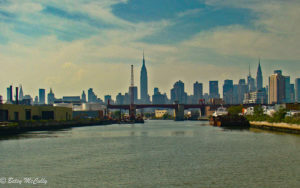 Legislation on the federal, state, and local levels has led to dramatic cleanup of the waters surrounding New York City. But oil spills continue to threaten the Hudson-Raritan Estuary. 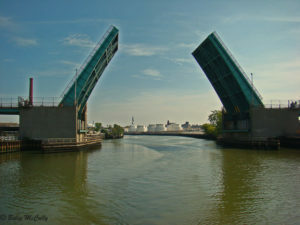 In 1950, an oil tank explosion at the Standard Oil facility on Newtown Creek leaked at least 17 million gallons of oil into the creek, which was already saturated by effluvia from a century of oil refining. The subterranean oil plume spread over 55 acres beneath Greenpoint, Brooklyn, the largest spill in the country’s history, second only to the BP oil spill in the Gulf. Not until it was “discovered” by the Coast Guard on a routine patrol in 1978 did cleanup efforts begin. The oil had leaked into the soil and groundwater. Cleanup efforts were as sluggish as the oily waters, as sweetheart deals were worked out between the state and Exxon Mobil, the new owners of the site. Riverkeeper filed suit against Exxon in 2004 and again in 2007, and then-Attorney General Andrew Cuomo (now New York Governor) filed a lawsuit in 2007, charging that “Exxon Mobil has been far less than a model corporate citizen, placing its greed for windfall profits over public safety and the well-being of the environment.” Cleanup is still ongoing. Exxon was responsible for another catastrophic oil spill, this one from a ruptured heating oil pipeline connected to a refinery in New Jersey, that saturated the waters and marshes of Arthur Kill (Staten Island) in January 1990. The pipeline leaked more than a half million gallons of oil into the Kill, oiling and killing hundreds of waterbirds that made their homes in this 13-mile waterway between Staten Island and New Jersey. The toll could have been even worse had the spill occurred in the nesting season. As we were reminded by the BP Deepwater Horizon oil spill that saturated the Gulf of Mexico in April 2010, the worst in the history of the country, oil continually poses a threat to our waters. ACCIDENTS HAPPEN. Oil refineries and rigs have no place in our coastal waters. The humble oyster is the only bivalve to build reefs; considered a “keystone species,” it is an ecological engineer that creates habitat for other species. Besides this service, it filters up to fifty gallons of water a day, consuming algae and plankton, and absorbing pollutants. Experimental oyster beds constructed in turbid waters have shown that the oyster improves water clarity to the point that sunlight reaches the seabed, supporting the growth of eelgrasses — essential habitat for its cousin bivalve the bay scallop. Moreover, as a reef-builder, it provides a buffer to tidal and storm surges in a time of rising seas. Clearly, it plays a critical role in restoring and maintaining a healthy estuary, and the health of the estuary in turn depends on a healthy oyster population. Recognizing this, New Yorkers are building oyster reefs throughout the estuary (see the New York Fauna page for details on oyster restoration). Anderson, Tom. 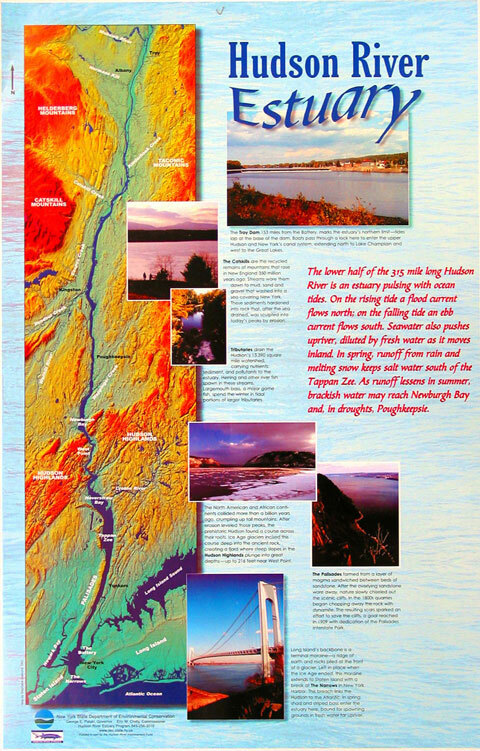 This Fine Piece of Water: An Environmental History of Long Island Sound. (New Haven and London: Yale UP, 2002). Boyle, Robert H. The Hudson: A Natural and Unnatural History (1979) — a classic! McCully, Betsy. City at the Water’s Edge: A Natural History of New York (Rutgers/Rivergate Press, 2007). Waldman, John. Heartbeats in the Muck: A Dramatic Look at the History, Sea Life, and Environment of NY Harbor. Rev. Ed. (New York: Fordham University Press/Empire State Editions, 2013).